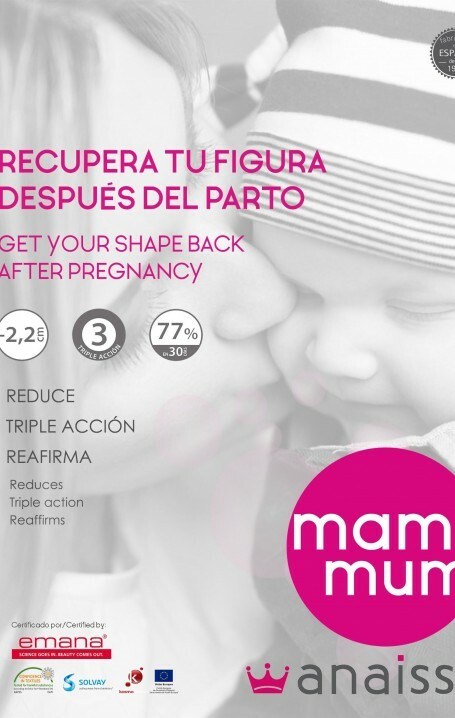 Mami Mum by Anaissa is the new line specially designed for you to get your figure back after giving birth. Mami Mum cosmetics are developed with the unique and exclusive Emana fiber, which thanks to its technology and action moisturizing, shaping and reducing, contribute to sculpt your body and help restore the physical form prior to pregnancy. Reduction of cellulite and orange peel, improvement in the elasticity and hydration of the skin, in addition to the blood circulation thanks to its thermoregulatory effect. Reduces 2.2 cm in hips and -1.4 cm in thighs. Proven efficacy after use 6 hours daily for 30 days, accompanied by a balanced diet and physical exercise. Visibly, these slimming belts, are small garments, but thanks to its elasticity and its effect glove, will adapt perfectly to your body. All Mami Mum garments are compatible with breastfeeding priories. Not recommended in pregnant women or in places where the skin is not intact. Anti-stretch mark bra and legging Emana® fiber MAMI MUM.